Many pros have to keep track of their expenses for various purposes. If you are a business owner, you want to track your expenses for tax purposes. Corporate pros often end up paying their expenses from their own pocket before getting reimbursed. That’s why they should track their expenses. 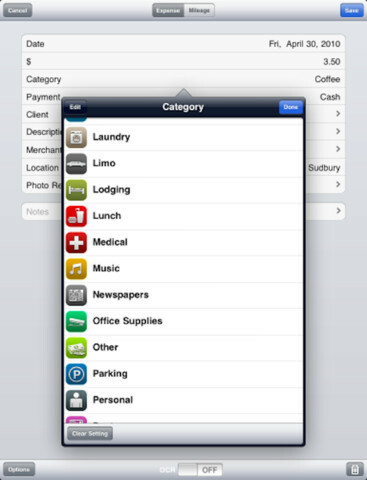 Apps such as BizXpenseTracker let users record all their expenses and do so in a more productive fashion. BizXpenseTracker lets users log their expenses under customizable categories. Expenses can be sorted by date, category, and other factors. Expense grouping is quite a handy feature too. Once you have been reimbursed by your company, you can mark your expenses accordingly. BizXpenseTracker provides support for mileage tracking. Just enter your odometer reading to get started. BizXpenseTracker would not be complete without decent reporting features. It creates beautiful reports in PDF format. Users can export their data in CSV or text format. Backup to MobileMe and DropBox is supported too. Reports can be sent to Mac and PC over WiFi. Users can password protect their data too. BizXpenseTracker is a very handy tool for anyone needing to track their expenses on a regular basis. 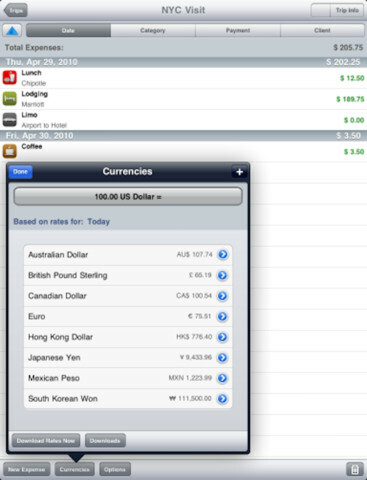 It has a user-friendly interface and offers useful reporting features. More advanced filtering options would be nice.